Antenatal screening and early intervention for “perinatal” distress, depression and anxiety: where to from here? 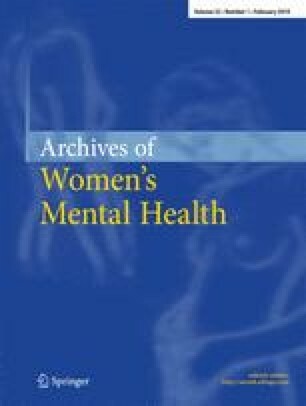 Recent developments in the study of mental health issues surrounding childbirth, have brought about a shift from the narrow concept of “postnatal depression” (PND) to a consideration of the spectrum of depressive and anxiety disorders arising in the “perinatal” period – which in the mental health context is defined as encompassing pregnancy and the first year postpartum. This shift has been associated with a growing recognition of the potential for prevention and early intervention in the perinatal period. In this article, the difficulties of antenatal screening with the aim of predicting PND are highlighted and contrasted with the potential benefits of antenatal screening aimed at identifying psychological morbidity – whether pre-existing risk factors and/or current symptoms – which may have bearing across the entire perinatal period. The literature on randomized controlled trials of “targeted” antenatal interventions to reduce PND and “indicated” interventions in postnatally depressed women are also reviewed. Future clinical and research directions in the field of early intervention for perinatal mood and anxiety disorders are identified. Keywords: Early intervention; postpartum depression; anxiety; pregnancy; screening.